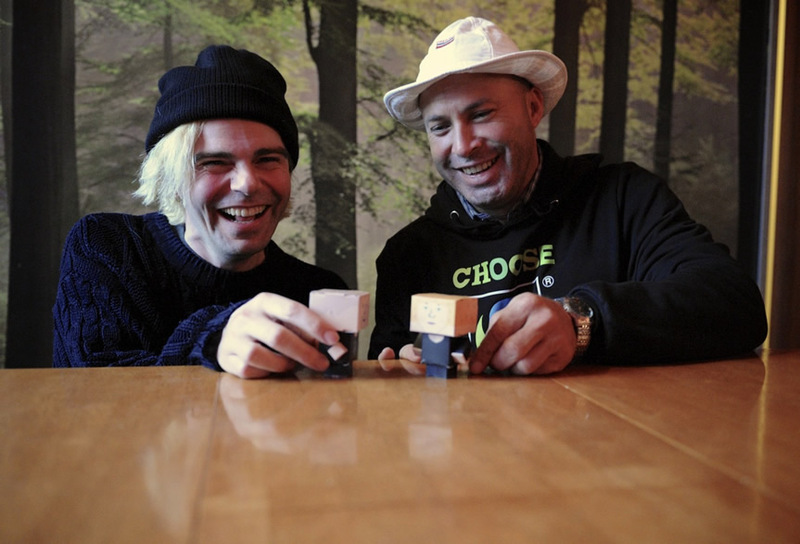 To mark the end of Fairtrade Fortnight, Charlatans front man and virtual coffee entrepreneur Tim Burgess invited Costa Rican Fairtrade coffee producer Gerardo Arias Carmacho to his recording studio in Cheshire to gain an insight into the life of a farmer in the developing world. Gerardo is a board member of his village co-operative, Cooperativa Llano Bonito in Costa Rica, and grows some of the coffee beans that go into the Tim Peaks blend. He will offer a rare glimpse into a world a far-cry away from the glamorous world of music. Gerardo is currently visiting the UK as part of Fairtrade Fortnight to represent Fairtrade smallholder coffee farmers. Tim Peaks Fairtrade coffee started with a tweet. When founder Tim Burgess offered his twitter followers a virtual cup of coffee one morning, the response was overwhelming. In conversations with his followers he came up with a name and someone sent him a logo. Then at Kendal Calling festival the virtual coffee became a reality and was quickly launched. Over the three days at the festival they served over 1,000 cups of Tim Peaks coffee from a log cabin to the sound of a Wurlitzer juke boxes playing songs they had previously played on twitter. 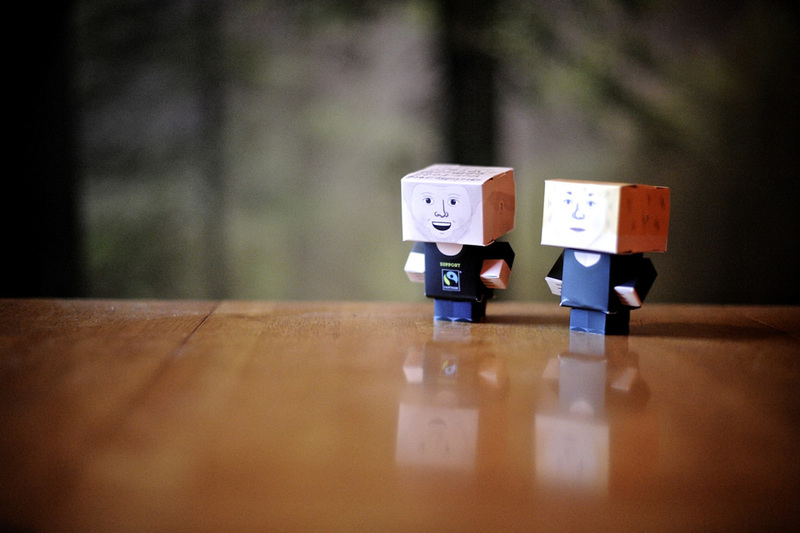 “Ethically sourcing my coffee was a major part of bringing my virtual product to life. We wanted to know the whole story of who was growing it, with whole process before it was shopped to us. The idea that the more people bought the more good it would be doing means it’s worth all the hard work”, explains Tim Burgess. Tim Burgess is supporting the Fairtrade Fortnight digital campaign at www.fairtrade.org.uk/gofurther this year and his virtual avatar has joined thousands of three inch paper protestors to descend on Parliament Square earlier this week in a Fairtrade-backed march calling for David Cameron to do more to protect smallholder farmers like Gerardo from trade injustice. The marchers are asking the government to put smallholder farmers at the heart of its trade policy ahead of the G8 summit in June. Of Gerardo’s co-operative’s 532 coffee-growing members, 40% are women, and live in and around the village of Llano Bonito, population 2,000. Their farms are at an average altitude of 1,500 metres, high in the mountains of Tarrazu in San José state where they grow the renowned and sought after coffee grade known as strictly hard bean (SHB). The co-op is one of nine members of Coocafé, a secondary level co-op that represents 3,500 farmers across four states. Coocafé’s mission is to promote the social and economic development of its members’ communities through environmentally sustainable coffee production. It processes, markets and exports its members’ coffee and provides a range of agricultural services and training. Gerardo is married with three children. The coffee he grows on half of his 5 hectare (12 acres) farm provides virtually all of his cash income. On the rest of his land he keeps several cows and grows vegetables, beans, corn, bananas, oranges and mangoes for family consumption. The farm takes up most of his time so on a typical day he gets up at 5am and works in his fields from six in the morning until five or six in the evening. Even putting in these long hours, Gerardo often struggles to make ends meet. He needs to earn 60-70 cents a kilo just to cover costs of production and a further $1,000 a year to cover his family’s outgoings. Fortunately, with the support of Coocafé and Fairtrade, ‘The Fairtrade price allows us to survive as coffee farmers. It covers our costs of production, lets us send our kids to school, buy clothes and keep a roof over our heads’ Gerardo explains.